Higgins-Mapes Family Association for George Higgins and daughter Cynthia Higgins and their families. Robert Lyle Young's contribution to Higgins Genealogy for ancestors of George Higgins. Born October 20, 1756 in Middleton CT and moved to near Allegheny River at Olean, New York in late 1700s. 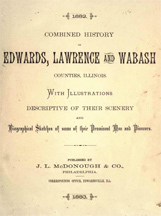 George and his wife were with their son John on the boat trip from NY to IL and he settled in the area of Friendsville, IL where there was a fort built by william Barney. [S16] Connecticut, All Town Birth Records, Pre-1870 (Vital Stats), Middletown, p268. [S17] Connecticut, Church Record Abstracts, 1630-1920, East Hampton, p117. [S17] Connecticut, Church Record Abstracts, 1630-1920, East Hampton, p118.